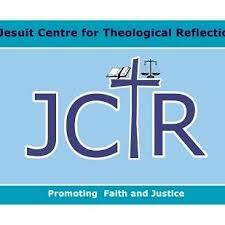 The Jesuit Centre for Theological Reflection (JCTR) has urged government to ensure all Zambians have access to clean and safe drinking water. According to a statement on JCTR website, the Lusaka Water & Sewerage Company (LWSC) should overhaul the water reticulation system as demand had grown with corresponding population in order to address problems of contamination in future. “We need to use this scarce resource wisely, equitably and demonstrate a preferential option of the poor,” reads the statement. JCTR further urged government to give public policy attention regarding the provision of clean water so that people on the margins of society have equitable access. “The compassionate and inter-generational stewardship of our collective water resources; locally, nationally and internationally is necessary for both peace and the environmental well-being of earth,” the statement indicated. And LWSC Public Relations Officer Nshamba Muzungu assured that the company was working on improving its water supply system through the implementation of projects such as the Millennium Challenge Project and Kafue Bulb to meet the increased demand in the province. “Most of these projects are almost complete and the customers will see increased hours of water supply,” he said. “During these projects there has been a lot of interferences, ….. which is unavoidable. Most of these projects are almost complete and the customers will see increased hours of water supply which shows reliability”. Meanwhile, National Water Supply and Sanitation Council (NWASCO) has directed the Luapula Water & Sewerage Company to immediately develop and implement the Non-Revenue Water strategy to mitigate the supply challenges in Kawambwa district. In a statement, NWASCO Public Relations Manager Mpunga Simukwai said that this came to light during the annual inspection of the Luapula providers conducted by NWASCO in January 2019. Non-Revenue Water is water produced but lost through leaks, apparent which include thefts or metering inaccuracies before reaching the cunsumer. She explained that inspections also revealed that while the commercial utility has shown continuous efforts in improving hours of supply and increasing its customer base, some areas of non- compliance were noted. “NRW in Kawambwa District was at 83% for the month of December, 2018 making it the highest among all the districts the Commercial utility is serving,” she said. Simukwai stated that the huge percentage was attributed to an increase in the number of water leakages on the old asbestos network including some malfunctioning prepaid water meters resulting in revenue losses for the water utility. Simukwai said the Luapula utility company had been given up March 29, 2019 to deal with the problems of leakages.